Compliments can win hearts only if it comes from someplace real. If it’s not then it can be annoying and at times can backfire. Listen and look good in others and when you think that the other person is not aware of some of his/her good qualities. Give them this gift called compliment. 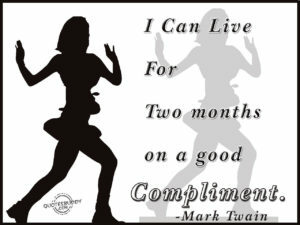 ← Previous Previous post: Compliment others..